Swarthmore College named among 'best value' schools in the U.S.
Parrish Hall at Swarthmore College, named in honor of the first president, contains the admissions, housing, and financial aid offices, along with student housing on the upper floors. 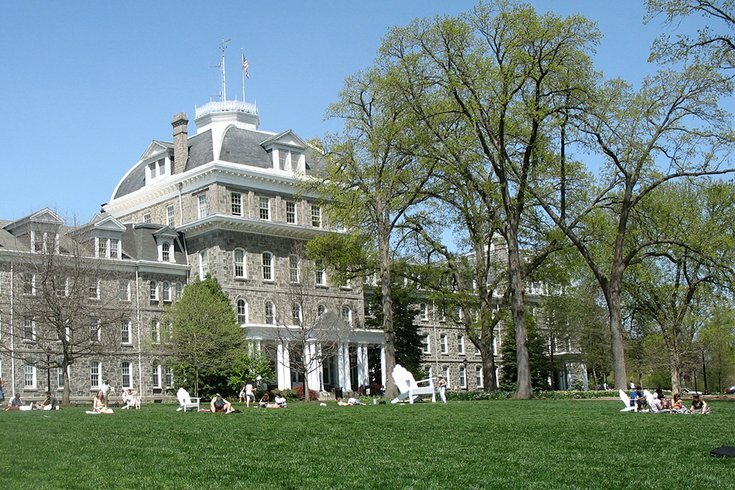 Swarthmore College gives students plenty of bang for their buck, according to a recent report. The private liberal arts school in Delaware County was ranked by finance magazine Kiplinger as the third-best college in the United States in terms of value. The magazine based the 2018 version of its annual list on tuition, schools' four-year graduation rate and graduates' average salaries after 10 years. Philadelphia-area colleges dominated among Pennsylvania schools, with Haverford College, the University of Pennsylvania and Bryn Mawr College also among the ranking's top 50. Princeton University, about an hour's drive from Philly in central New Jersey, earned the top spot. More on the rankings can be found here.